The New Year is quickly approaching (how did that happen again?) 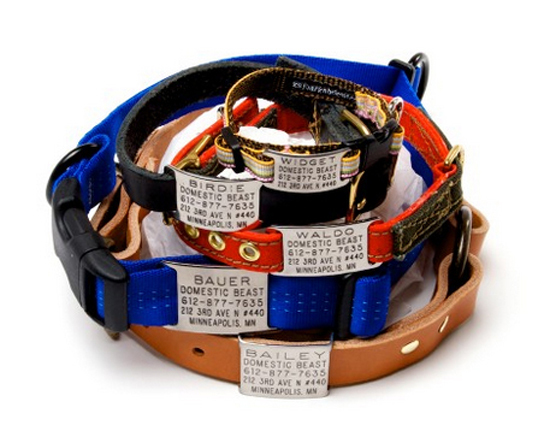 To help you stay organized in 2014 – and make a positive difference in the lives of pets – I would like to share a very special project with you today. It was photographed by Waterloo, ON photographer Tiffany Machado of Machado Photography and was created to help Boston Terriers in need. 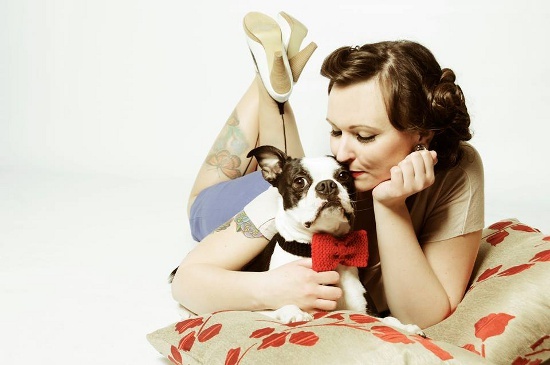 “Pinups for Boston Terrier Rescue Canada” (BTRC) is a 2013/2014 fundraising project that includes a fantastic calendar, fabulous prints and numerous frisky and fun promotional items for sale. Their objective is to raise much-needed funds for the costs of vetting and rehabilitating the dogs currently in BTRC’s foster program, and to provide the necessary resources to care for those dogs needing the rescue’s help in the future. BTRC also hopes to show – and tell — everyone that there can be a fun, as well as a rewarding side to getting involved in animal rescue, and in doing so, attract new volunteers. Their one-of-a-kind calendar displays the beauty – both inside and out – of BTRC’s wonderful volunteers, and to reward these remarkable women with some well-deserved lightness and laughter. It also allows them to celebrate the beauty of their mutual bonding and the very special friendship they share. The calendar’s theme and style were inspired by the works of Gil Elvgren, one of the greatest American Pinup artists. 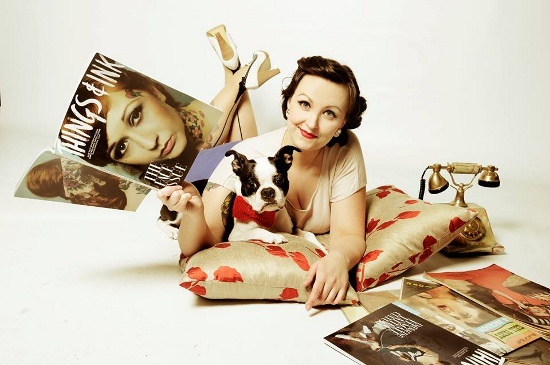 On each of the calendar’s pages, the BTRC lovely ladies are dramatically attired in the nostalgic styles of the ‘40’s and ‘50’s. Accompanying them are their own beautiful Bostons or those owned by other BTRC volunteers. Many of these most photogenic dogs are themselves BTRC alumni – further proof of the many foster and adoption happy tails. 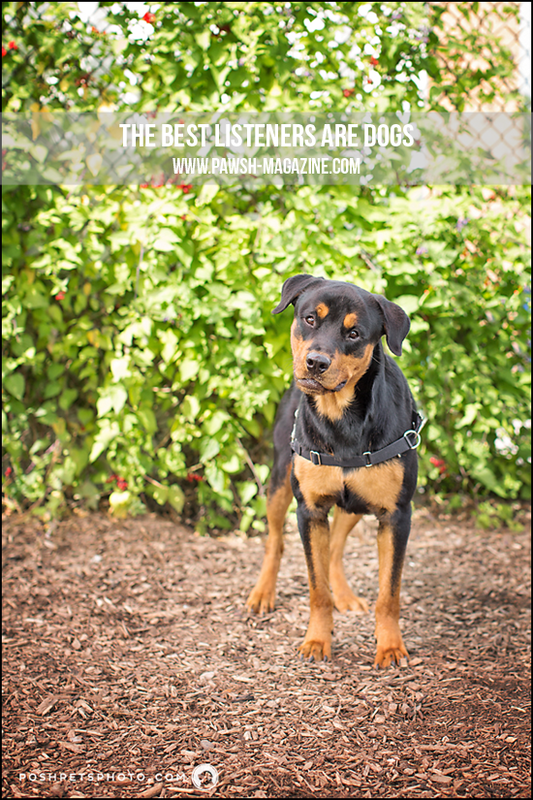 Be sure to follow BTRC on both Facebook and on their lovely blog as they continually update their information on all things Boston. To spill the (Boston) beans now would be to spoil the fun! Pawsh Perks: Can’t get enough of Bostons? Check out this Ode to Boston Terriers. 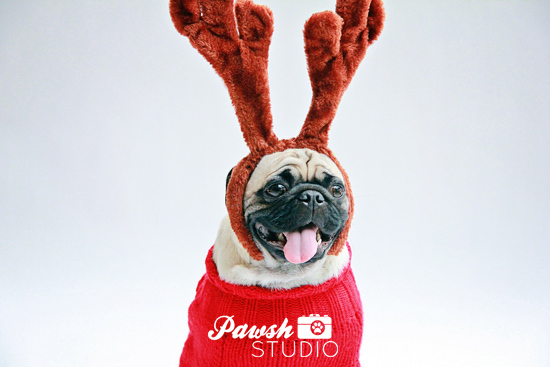 Thank you to everyone who came out to our first Pawsh Holiday Mini Sessions event! A whopping fourteen furry friends showed up, each so adorable that I wanted to pup-nap them all! The day was designed to raise money for Bark For Life of The Canadian Cancer Society and I am having a ball working on these images this week. Because I can’t help myself I wanted to share this little sneak peek into the day. The concept of the mini holiday sessions was to create fun personalized pet portraits that can be incorporated stylishly into one’s holiday decor year after year. 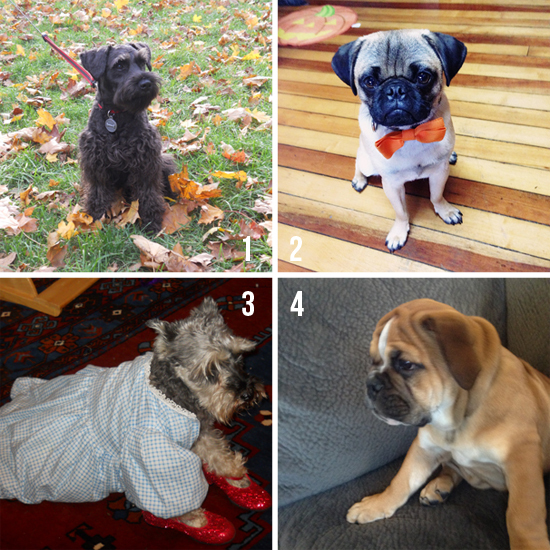 One by one boxers, pugs, bulldogs, Malteses, terriers and mixes took to our cozy little set. It was such a heart-warming experience; I had the best time and I can’t wait to share more from the day with you! Oh! And Pawsh Studio now has an official logo! Oh happy day! It snowed here in Toronto yesterday. I definitely saw a few fat white flakes sprinkle down from the cool grey sky and onto our little part of the world. So I thought what better time to unveil the new holiday prints for the Pawsh Print Shop. Each print has been crafted to (hopefully) capture the joy and merriness of the holiday season. Each is available as an 8×10 fine art cold press matte print — they look like paintings once processed — and 20% from each print sale will be donated to a local Toronto animal shelter on Christmas Day (or Christmas Eve if they aren’t open on the actual holiday). Treat your favourite vet to a festive print, dress up your cosy hallway with a cheeky furry face or add a bit of cheer to your desk over the holiday season. Your purchase of a print will help animals in need and help to spread the joy. 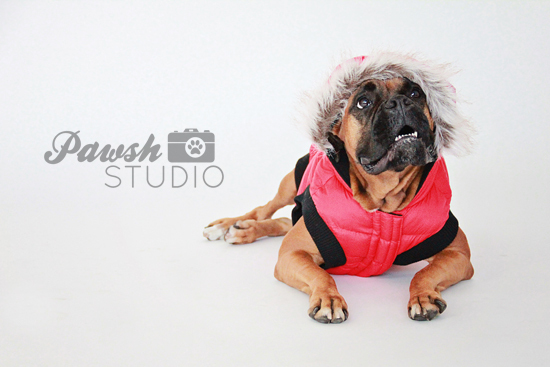 Thank you to all the dog models and their wonderful pet parents for coming out to these special photo sessions. 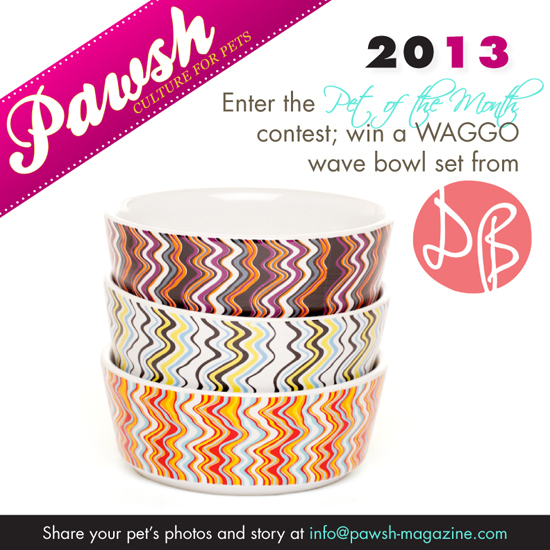 To view all four holiday Pawsh prints, please visit our Print Shop!